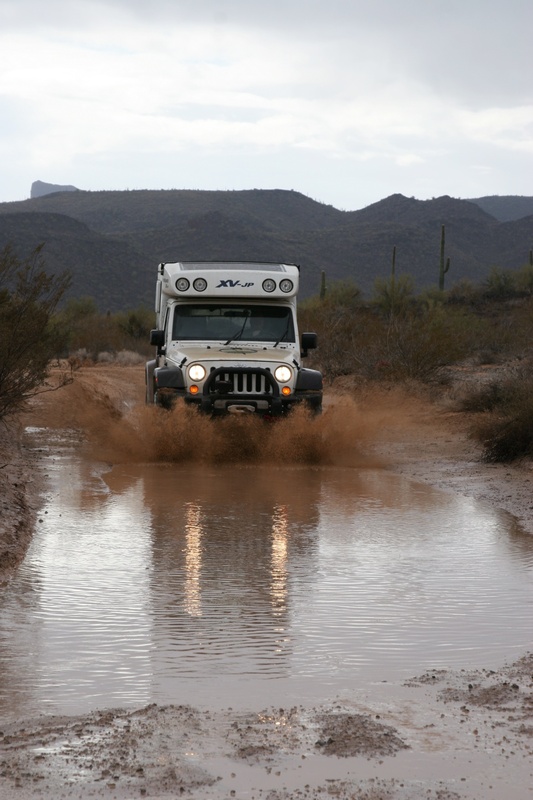 In the realm of overland vehicles, Earth-Roamers sit on a pedestal high above the reach of mere mortals. They are the essence of unobtanium, costing as much, or more, than many of us would ever spend on a home. A blend of impressive capability with extreme luxury, these trucks have captured our imagination and become the stuff of dreams. Now eight years after production, the first XV-JP ever produced has come up for sale. Why should you care? Because it has less than 40,000 miles, and is darn near close to affordable. Alright, so maybe affordable is being a little over zealous. It still carries a hefty price tag of $55,000, but compared to the list price of $110,000 that’s a bargain. Especially when you consider that a Jeep Rubicon costs nearly $40,000 stock. So what does all that cash buy you anyway? Honestly, a whole heck of a lot! 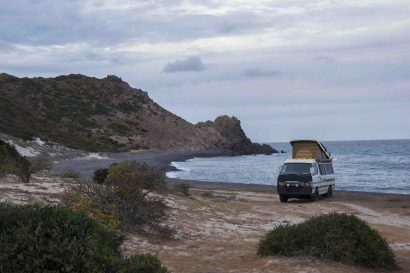 The XV-JP is a fully self contained camper with everything you’d expect to find in a much larger RV. Open the Loft-top and you’ll find a cabin boasting an impressive nine feet of standing room. 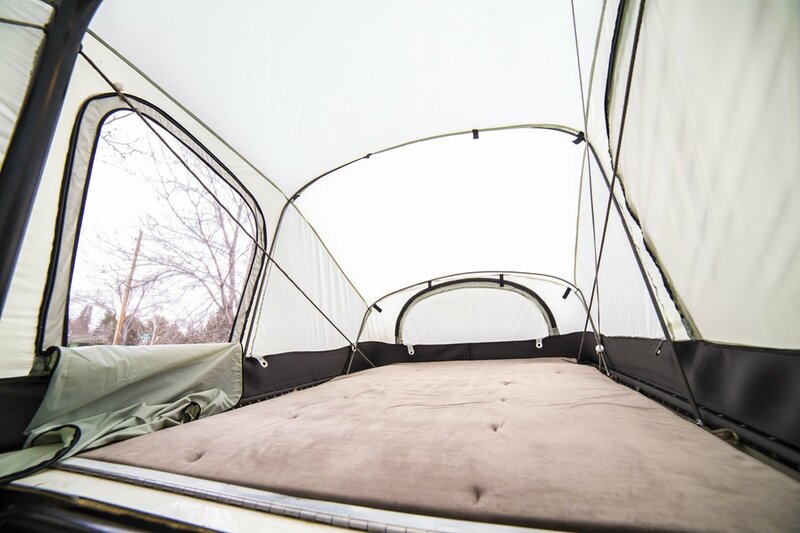 Deploying the camper also gives you access to a rather plush queen sized bed off the rear of the vehicle. 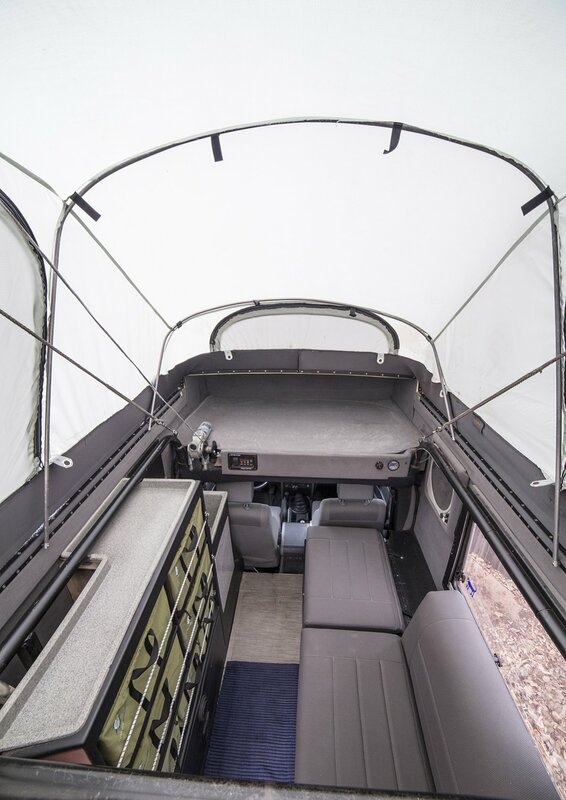 The interior appears rather plain upon first glance, but closer inspection reveals it’s simply an excellent use of space with tons of hidden goodies. 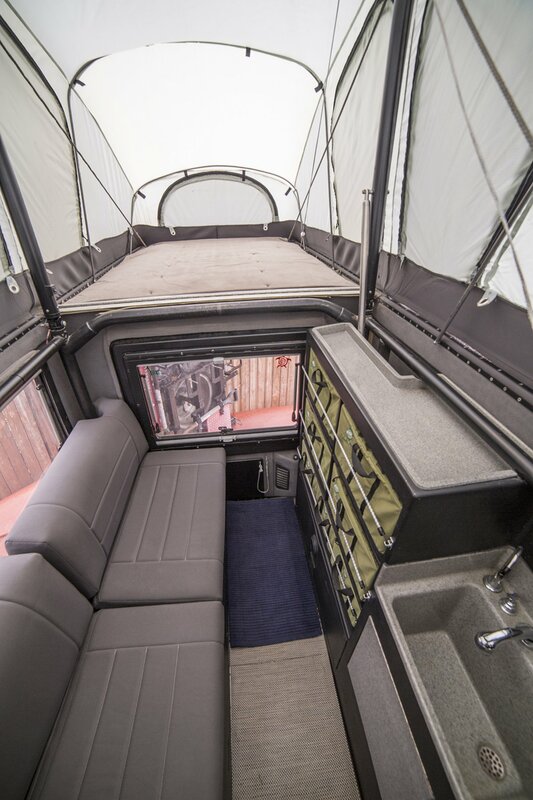 Features include a 4 gallon cassette toilet, conveniently located sink, hot water shower, 25 gallon locking water reservoir, 3 cubic foot fridge, forced-air heater, ventilation fan, dual-pane acrylic windows, built-in shades and bug screens, and seven matching storage bins for all your clothes, food, and equipment. 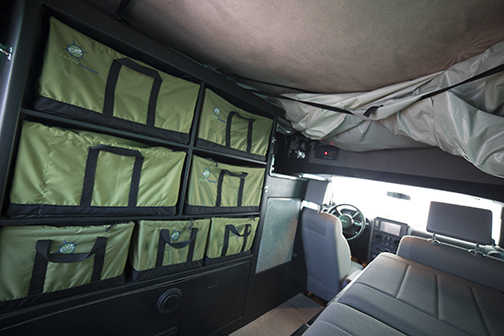 All the electronics are run with marine-grade wiring and integrated into a single panel controlled from the interior of the vehicle. 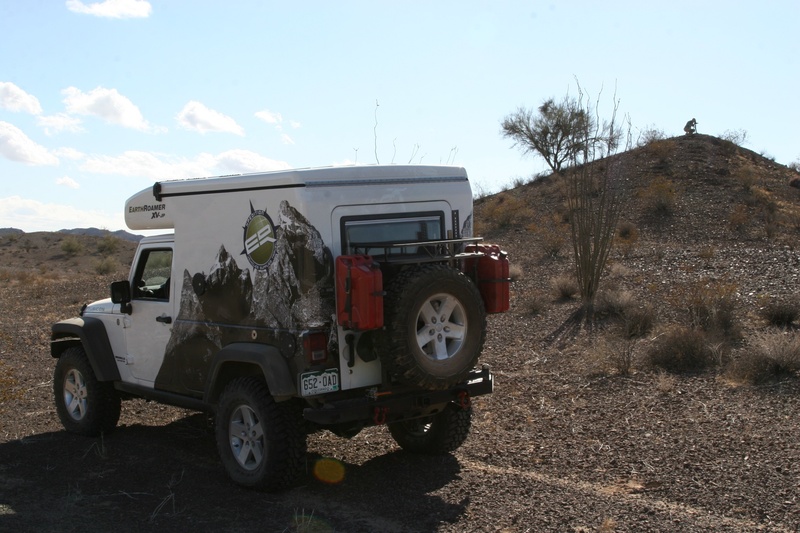 Of course there are no plugs in the wilderness, so this expedition vehicle can run fully off the 80W sharp solar panel mounted on the cab over. Rainy day? Don’t worry, the 210 amp-hour AGM battery bank will keep you up and running until you can get your charge. 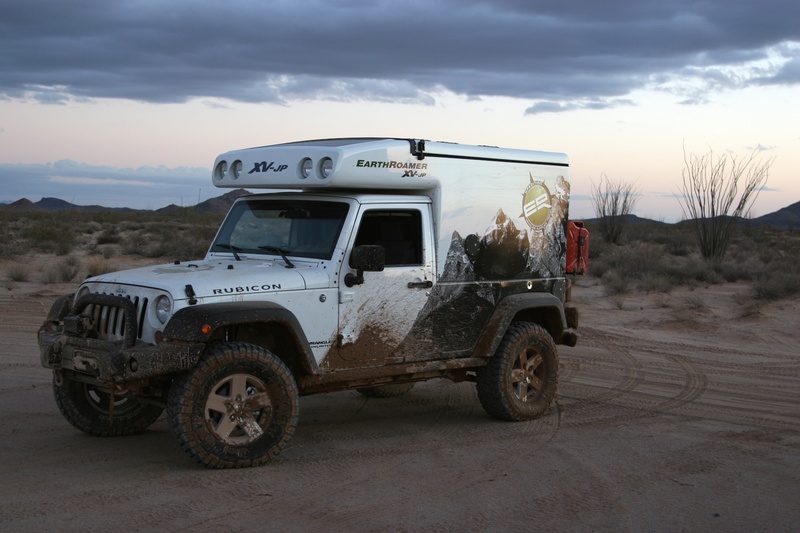 At its heart this EarthRoamer is still a Jeep Rubicon, and it retains much of its factory equipment. 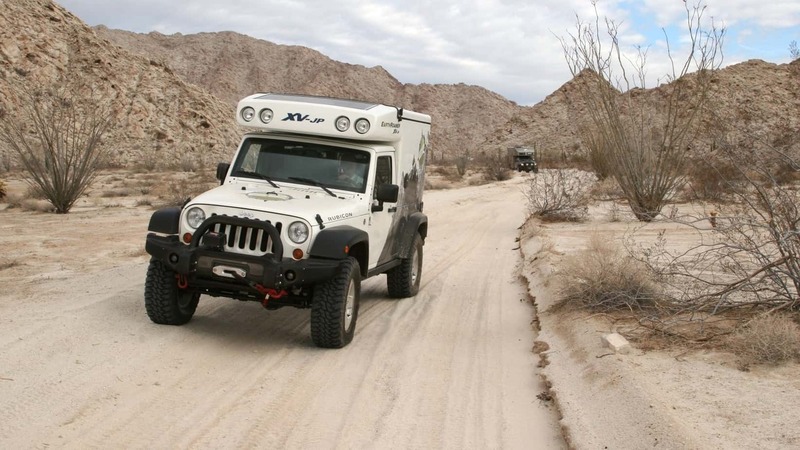 Electronic front and rear locking Dana 44 differentials, disconnecting sway bars, a two-speed transfer case with 4:1 crawl ratio, and the rather slow but dependable 3.8 liter V6 make the XV-JP an immensely capable vehicle, but the engineers felt a few more enhancements were in order. 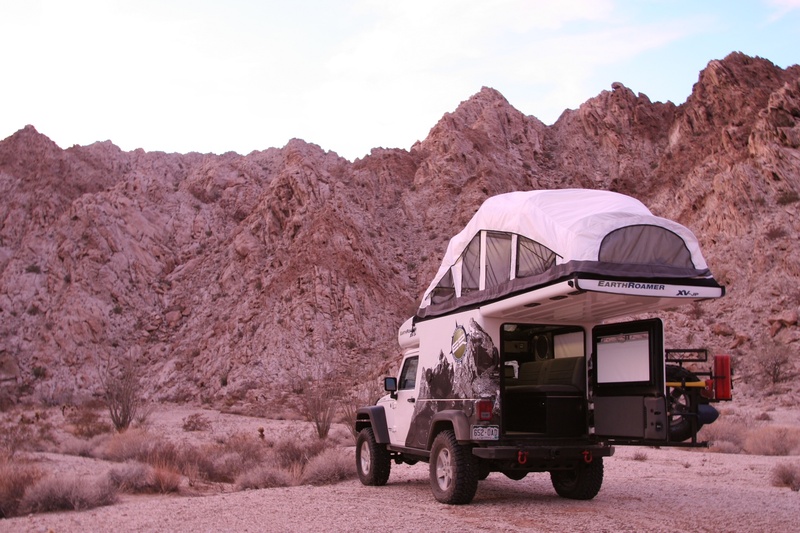 For starters they wisely upgraded the stock suspension with heavy-duty coil springs and Bilstein shocks to handle the extra weight of the camper. This also gained the truck an additional three inches of lift. 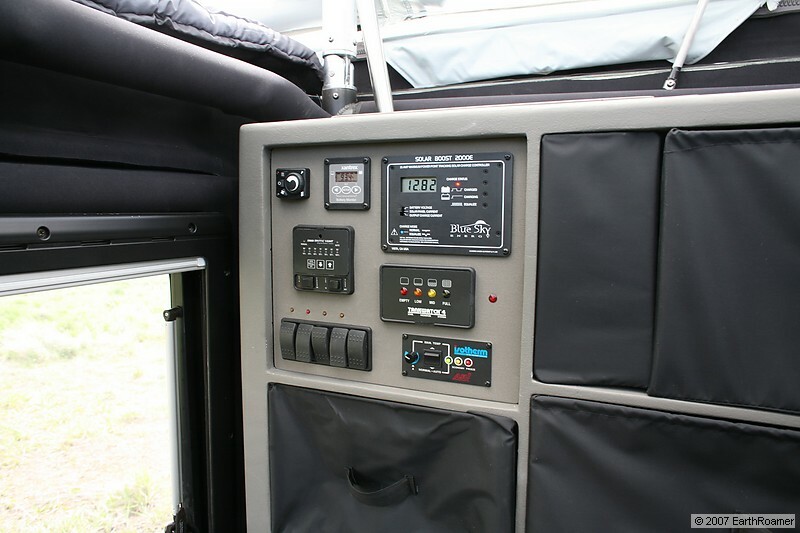 Up top four PIAA 600 HID driving lights were integrated into the cab-over shell for long distance spot visibility. 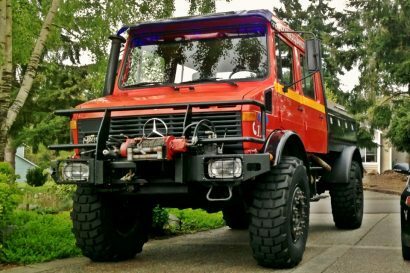 The front is adorned with a heavy-duty steel bumper with integrated winch mount, and a Warn 9000 RC. 50 feet of synthetic line is wrapped around the spool and ready for any recovery. Out back, a matching steel bumper and swing-out hold two jerry-cans, a Hi-Lift jack, a spare tire, and a small cargo basket. 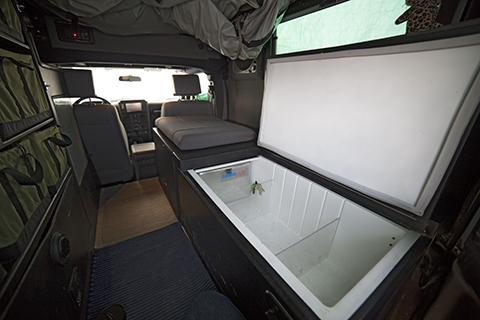 Underneath EarthRoamer fit custom transfer case, camper battery, and exhaust skid plates for additional protection on technical terrain. The list goes on, but we’re pretty sure you get the picture. 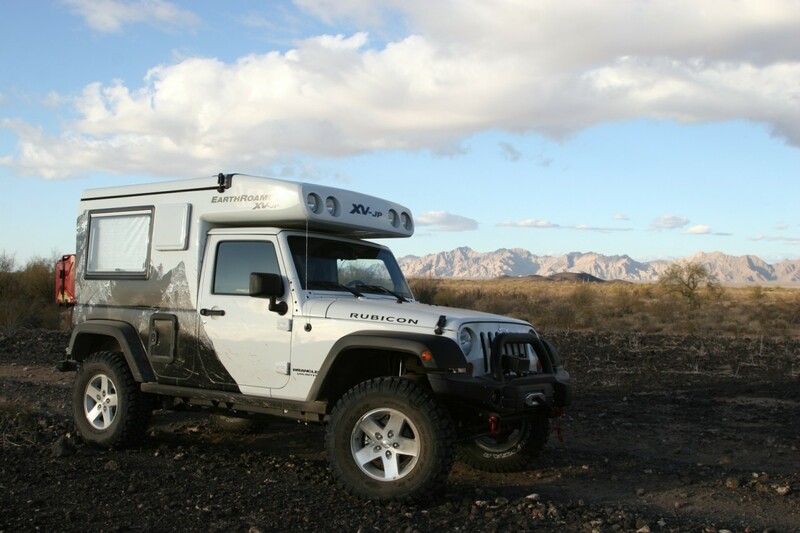 This is a ready to roll overland machine that will not only take you around the world, but do so in pleasant comfort. 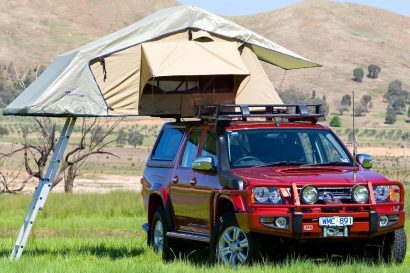 It is small enough to negotiate tight city streets in South America, capable enough to cross the African outback, and spacious enough to make living in the vehicle easy the whole trip through. If you’re as interested as we are, check out the for sale thread on Expedition Portal’s forums here. Once you’re done, pick up the map and choose your next destination. It’s time for an adventure.